Few days ago my friend Elda asked me if I had some recipe for dessert: something yummy yet healthy, not complicated to do in hot summer days. As Elda spent all summer with two lovely little kids on island Hvar and the friends are always welcomed in her house, I came up with 2 ice cream recipes for her: lemon and lavender. Hvar is an island famous for its endless violet fields of lavender, so she can find it easily anytime and anywhere.Flowers of Lavender has amazing sweet smell with anti stress effects and they are good for the immune system.Lavender ice cream is perfect dessert for children, and it looks very pretty with delicate, violet flowers. Elda already has a lemon tree in her garden, so it will be an ice cream full of Vitamin C.
These Ice creams are neither over sweet or heavy, you can eat it any time in a day. 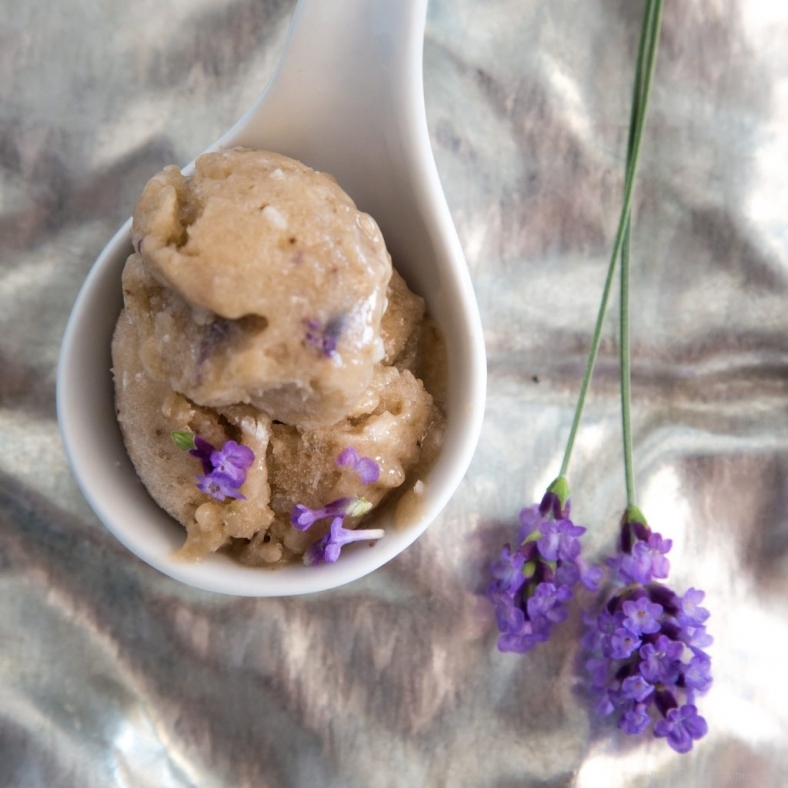 Fresh lavenders flowers bring out the best flavor of this delicate ice cream. Tree bananas, peel and cut them and put in a box, covered and than put in freezer overnight. Use ripe bananas with dark brown spots, they are sweet and ready to eat. Also prepare lavender sugar. 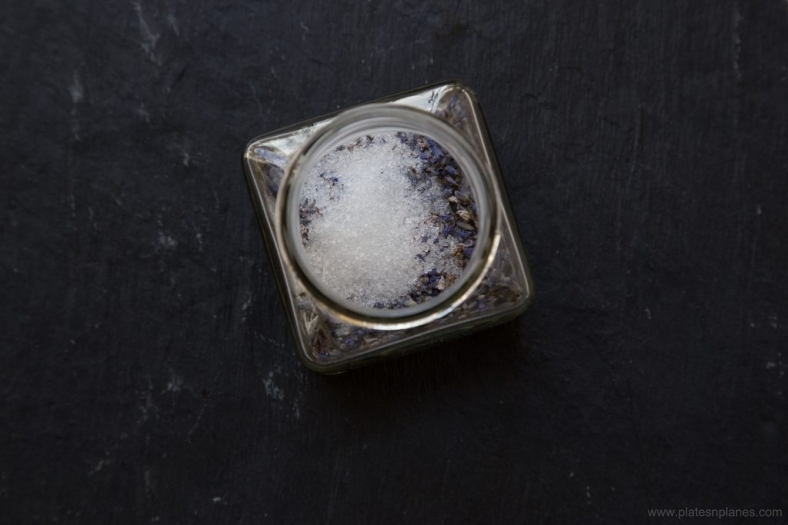 In a glass jar spread a layer of sugar, over it a layer of lavender flowers, than again sugar. Repeat it few more times. Keep it for few days and than sift it. Save the remaining lavender sugar and true away the rest of the flowers. 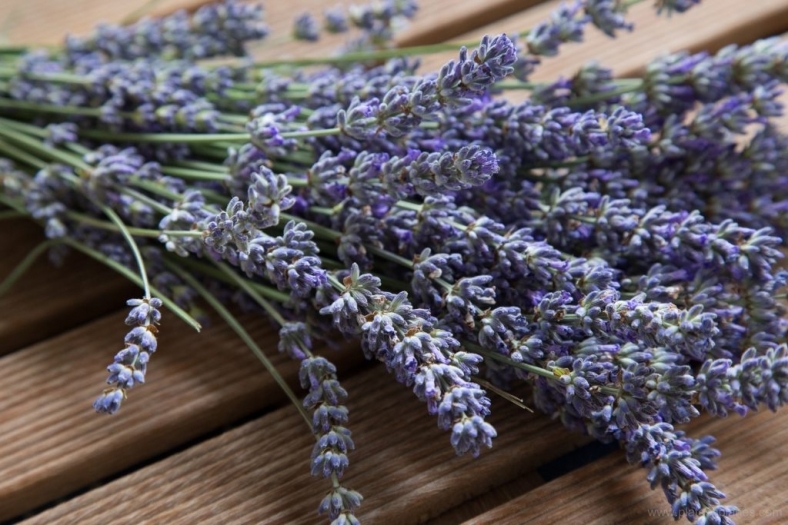 If you do not have a time, instead of lavender sugar you can use agave syrup. Put 2 teaspoons lavender flowers in coconut milk ( leave out 1 teaspoon of flowers for decoration) and cook it together until it starts boiling. Boil it for few minutes. Stir well and remove from the heat. Put it aside covered for half an hour until it cools down completely. Strain it, put away the lavender flowers. Than put a milk into freezer for few hours or over night until it’s frozen. Once milk is frozen, brake it in small pieces. Put it in food processor together with frozen bananas and add lavender sugar ( or agave syrup) as well.Mix it well until creamy. Finally add few lavender flowers add stir very gently. That’s it, ice cream is ready to eat. Combination of lemon juice with raisins is just perfectly balanced in this yummy ice cream.The raisins sweetness and flavor of citrus finally give to ice cream this subtle taste. For an elegant edge you can add 1 tablespoon of limoncello. Its bittersweet taste adds completely another dimension to ice cream’s airy taste . In food processor ( with metal blade) process frozen bananas, lemon juice and soaked raisins into sticky mixture. The mixture should be smooth and even. Remove it from food processor. Add lemon zest and stir gently with wooden spoon. Now add 1 tablespoon of limoncello ( optional) and again stir gently. Once you are serving it, you can decorate an ice cream with limuncini (candied lemon peel) and arancini. Here is a perfect healthy dessert for all of you ice cream lovers. Enjoy in it on a lazy summer afternoon!!! And also this Ice creams ( with typical Dalmatian ingredients: lemon and lavender) are a perfect match with sweet Dubrovacka rozata (traditional dessert from Dubrovnik).